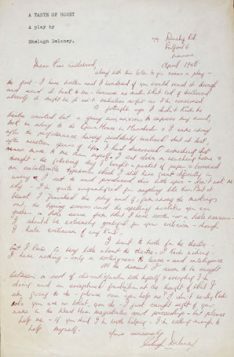 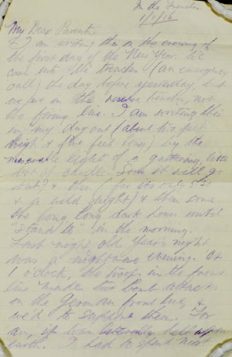 Production notebooks belonging to Samuel Beckett, letters written by JB Priestley from the First World War front line and an uncensored version of Joe Orton’s Loot are among the items made available to view online for the first time by the British Library. More than 100 artefacts from the British Library’s theatre archive have been digitised as part of Discovering Literature: 20th Century, which brings together the work and creative processes of some of the last century’s greatest playwrights. 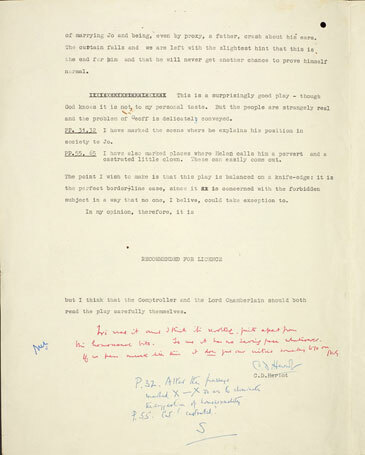 Fourteen dramatists and 17 key works are explored through high-resolution images of playscripts, production photography, reviews, posters and programmes. Beckett’s production notebooks from Waiting for Godot and Happy Days highlight his meticulous approach to directing his work, while Priestley’s war letters chronicle the thoughts around class divisions and injustice that would influence his writing in later life. 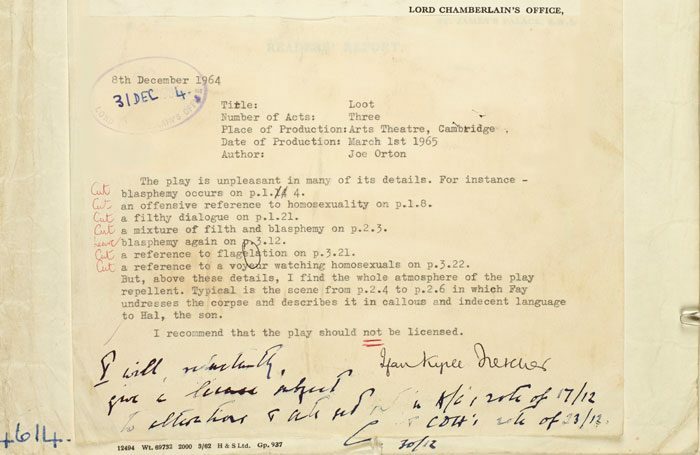 Other highlights include a manuscript of Shelagh Delaney’s A Taste of Honey together with the censor’s notes in 1958, criticising the play for its portrayal of a gay character. 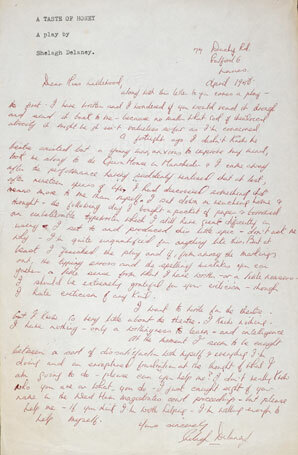 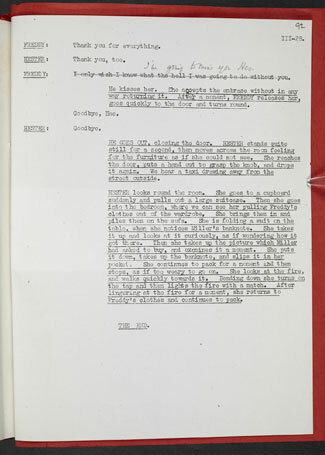 The collection also features the earliest surviving draft of Terence Rattigan’s The Deep Blue Sea, manuscripts of Pinter’s The Birthday Party, The Homecoming and Betrayal, and library book covers defaced by Orton and his lover Kenneth Halliwell, an act for which they received six-month prison sentences. 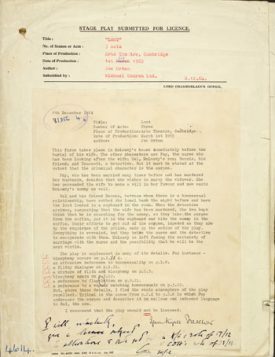 The free resource, which is mainly aimed at students, also includes newly commissioned articles, documentary videos and notes. 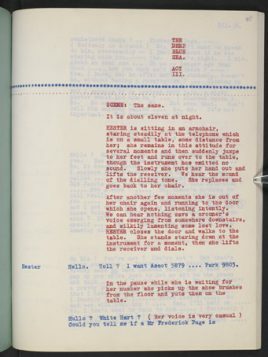 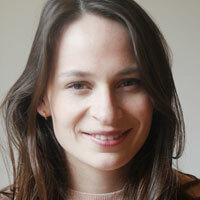 More than 30 articles have been added to the site from contributors including Max Stafford-Clark, Michael Billington, Yvonne Brewster and Jeanette Winterson. 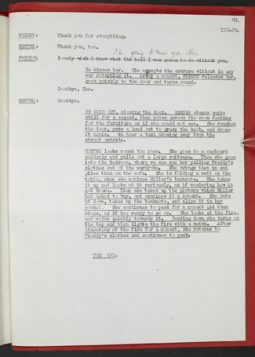 The collection is the third phase of the British Library’s Discovering Literature programme, which already features resources on the Romantics and Victorians, and Shakespeare and Renaissance writers. Anne Lobbenberg, lead producer of the British Library’s digital learning programme, said: “The 20th century bore witness to one of the most thrilling and innovative periods the British stage has ever seen.